We take great care and pride in remaining spaces for our clients. We take into account how you live in your current space, how you wish it to function and ways in which it can become more energy efficient. Some of our favorite spaces we've reimagined include the following projects. 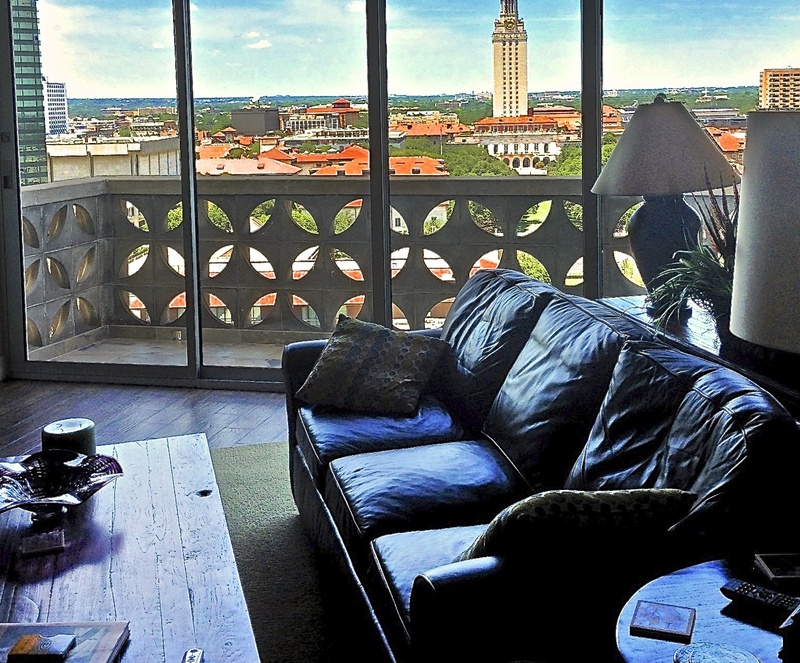 This residence consisted of two side by side penthouse condominiums in an early 1960s era residential tower. The two units were efficiently connected with one unit dedicated to the clients’ living, dining, kitchen, and mezzanine spaces and the other to be used as a master suite and study. It was a unique accomplishment to functionally integrate the mezzanine level into the plan because it added several secondary bedrooms and an additional bathroom. 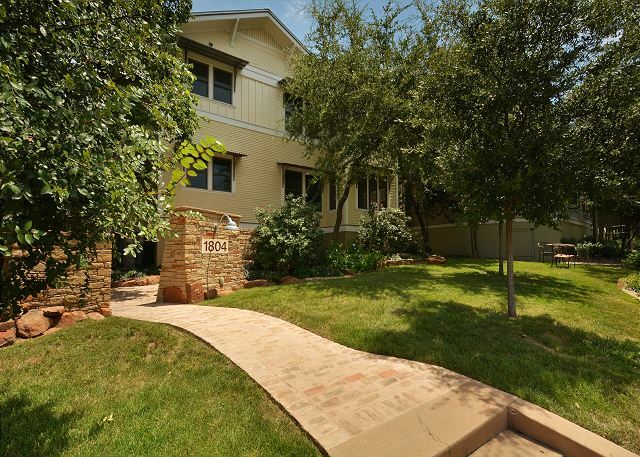 This historical structure in Old West Austin is in a protected neighborhood planning area. The challenge was to maintain a historical reference while meeting the needs to update and restore the duplex into two homes that would be comfortable and energy efficient to live in. A client's request for an open floor plan that would blur the distinction between indoor & outdoor living areas while still providing a significant amount of privacy for the occupants brought about this distinctly contemporary design motif that is also healthy to live in, well constructed, and very energy efficient. 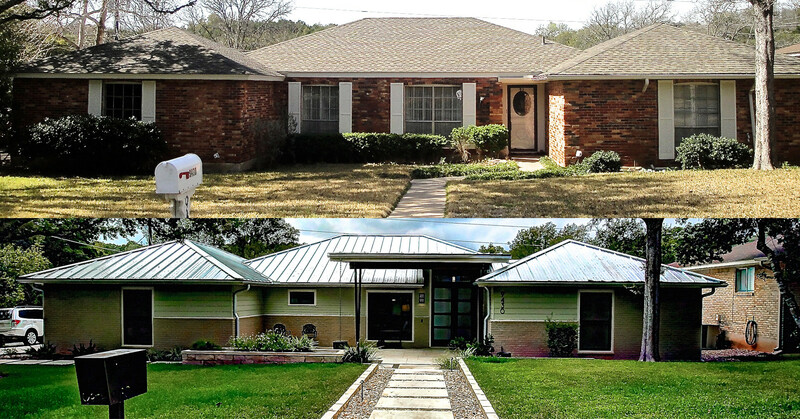 Our clients were looking for a home to renovate in the Austin area when they found a simple brick one story 1970s home that had been neglected for many years. 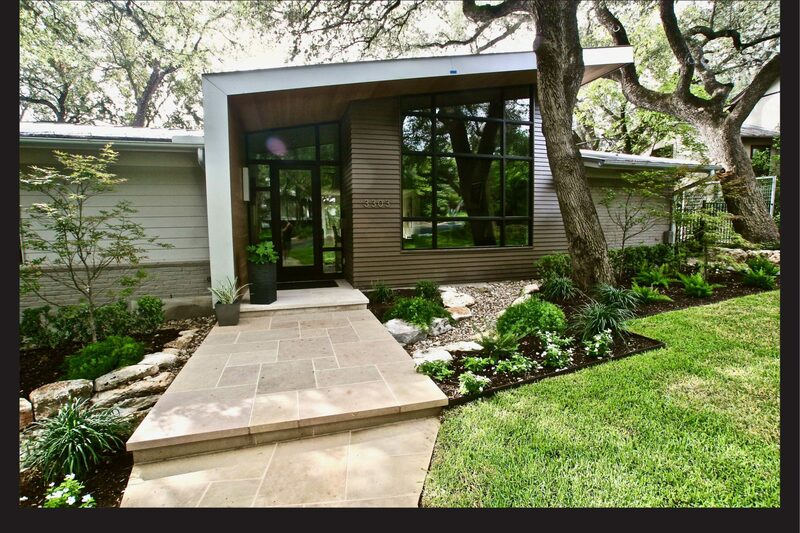 The front yard sloped down to the front of the home allowing water to gather and there had been an inexpensive addition done at the rear of the house. The floor plan was characterized by a series of rooms clustered together around a sunken living room with no connection to the outside. The front yard would be leveled to help channel water around the house. Most of the exterior brick was replaced with Hardiplank siding and the remaining brick was painted to lighten the exterior. Exterior windows and doors were replaced with Marvin Integrity brand windows. The rear addition was stripped off and replaced with a new screened porch, with a vaulted ceiling and fireplace, and a new deck. 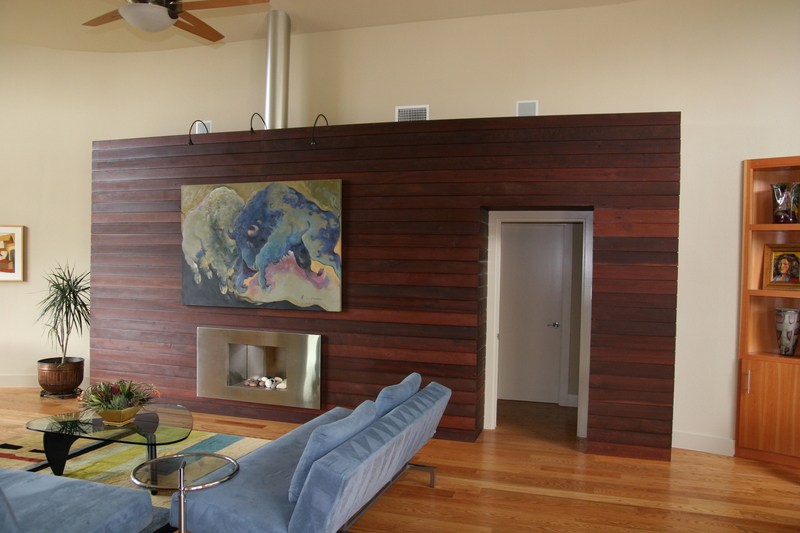 The sunken living room was filled and the many interior walls were removed, tremendously brightening up the interior. A new kitchen was designed with much of it now opening up into the living room. 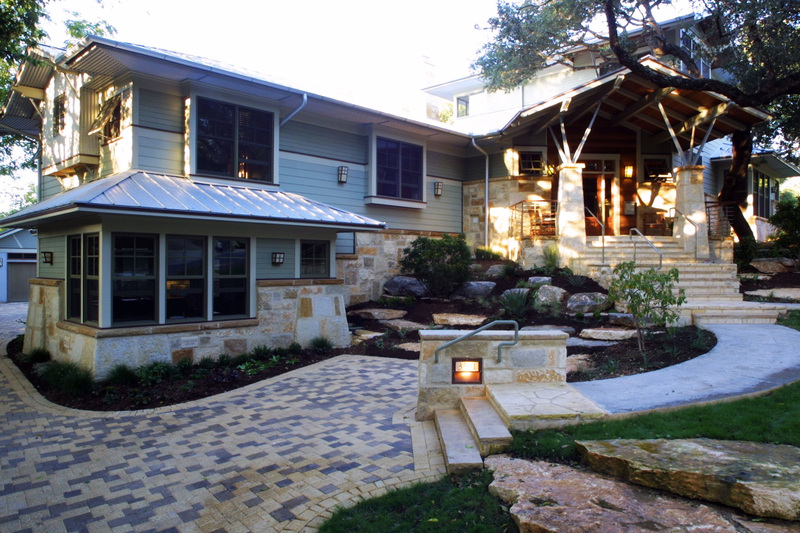 New fixtures, finishes, mechanical systems and wood floors were added throughout the home. A basic builders box was given a new lease on life, bringing its image and function into the 21st century, providing our clients with an efficient, sustainable, and effective way to repurpose this average home into a high performance efficient living environment.